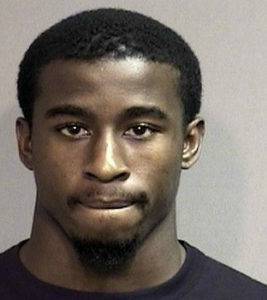 Missouri football reserve running back Trevon Walters was kicked off the team after he was arrested on suspicion of stealing a debit card. Head coach Barry Odom confirmed the dismissal after Monday evening’s practice. The 21-year old Walters was arrested on Friday after he turned himself him. A 19-year old man reported that items were stolen from his residence on July 17. Walters was identified in surveillance footage at a local business where the stolen card was used. He is facing three charges, including one felony. Walters had been on the team since 2014 but hasn’t played. After a redshirt season, he missed all of 2015 because of a torn ACL. Walters is from Bradenton, FL.